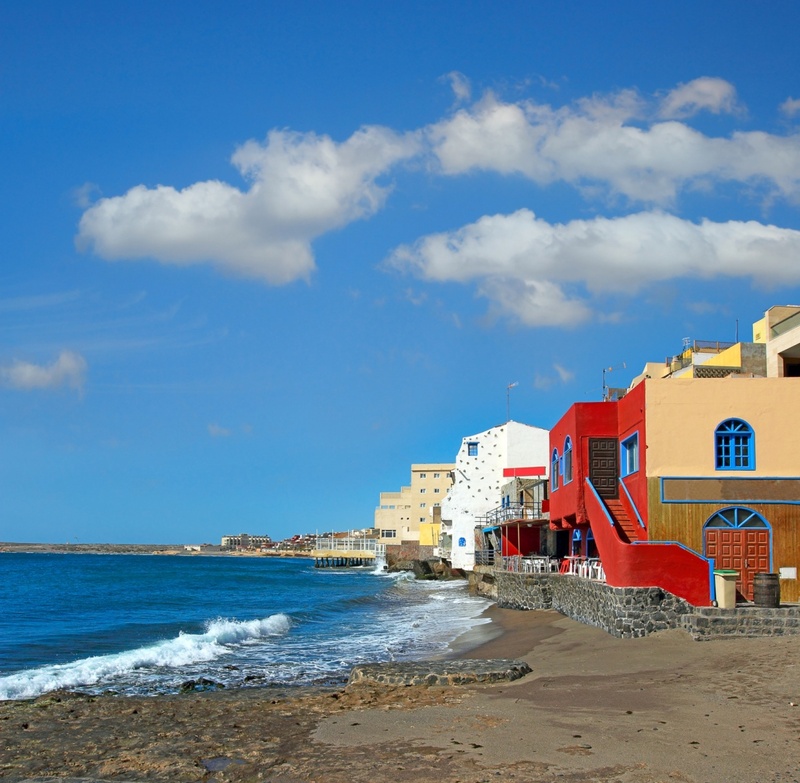 Known by many as the bohemian resort of Tenerife, El Médano is a haven for surfers, boogie boarders and windsurfers. Located on the southern coast of Tenerife, just to the east of the airport, the resort enjoys almost permanent winds which create the perfect wave conditions for water sports. The ideal resort for couples and families who want to side-step the bigger and bolder tourist areas, El Médano is Tenerife’s most chilled out resort which has managed to keep true to its roots, whilst still offering plenty of activities and attractions for holidaymakers. The beaches are the life and soul of El Médano and are where most of the action takes place. El Médano beach is packed with families on weekends who head down in large groups to soak up some rays and cool off in the sea. If you’d like to try your hand at windsurfing or simply want to watch the professionals do their thing, head to the neighbouring beach of Playa el Cabezo. This beach stretches on for miles and is always full of locals showing off their amazing talents as they ride the waves. Lining the beaches you’ll find a wealth of surfing shops, bohemian cafes and Canarian restaurants where you can while away a few hours if the sunshine gets too much for you. Further inland you’ll find plenty of other shops selling clothes and accessories, as well as ice cream parlours and eateries. Casual cocktail bars are scattered throughout the resort and provide the perfect location to sit back and sip a mojito whilst watching the world go by. Whilst most of El Médano is residential – especially the further inland you go – there is a handful of hotels and apartment complexes which welcome tourists, many of which come with wonderful sea views.The perfect place for visitors who want to experience true Canarian hospitality without venturing too far out of their comfort zone, El Médano offers a fabulous fusion between a traditional village and a holiday resort. Find information about selected Hotels, apartments and rooms in El Medano to choose the perfect place for your accommodation.